BC Cup & Canada Cup Downhill Mountain Bike Race returns to the Bike Park at Fernie Alpine Resort! This one is great for both competitors and spectators. Fernie Alpine Resort is proud to partner with SE Racing, Dunbar Cycles, the Canadian Cycling Association and Cycling BC to host the Fernie Legendary Summer Canada Cup / BC Cup Downhill Race! Competitors can expect a fun, technical race course complete with the infamous “Canadian Section” steeps. 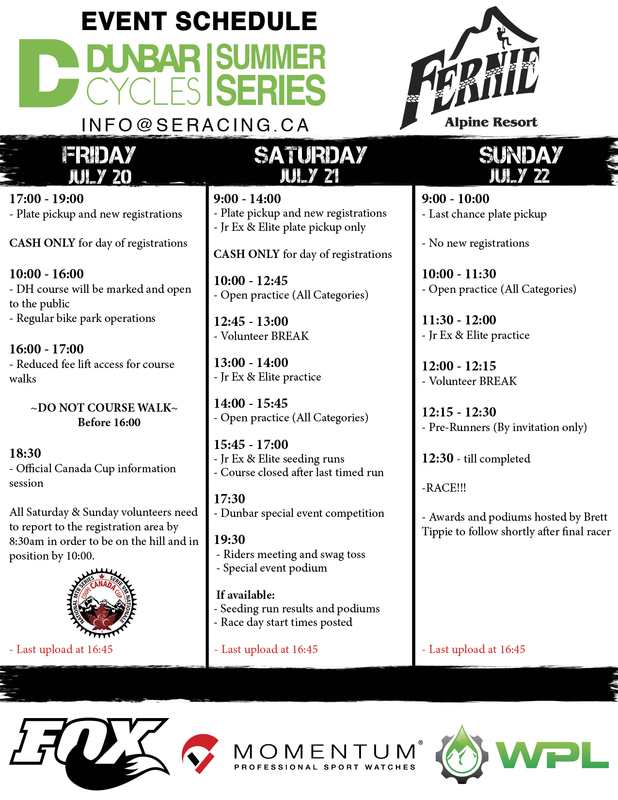 This Canada Cup / BC Cup DH race is part of the Dunbar Summer Series.